New York and Chicago may have an ongoing pizza rivalry, which has let California sneak into the mix. From the Italian-style slices and pies found in San Diego’s famed Little Italy to some of the oldest stores in San Francisco’s to the celebrity chef driven shops of Los Angeles, California is filled with everything from gourmet toppings to New York and Chicago inspired pizzas. Here are our 10 favorite pizza restaurants in the state! Casa Bianca frequently tops the list of the places for pizza in Los Angeles. In the 60 plus years it has been opened, it has become one of the most popular restaurants in the neighborhood. There are no reservations, so plan accordingly! This is a popular spot. Pizzeria Mozza is the effort of celebrity chefs Nancy Silverton, Mario Batali and Joe Bastianich. This place is small, but it’s worth having your neighbor’s elbow in your face as you bite into a chewy slice of pizza, perfectly cooked and accompanied by a variety of small bites. With three locations in Northern California, Pizzeria Delfina is not your typical pizza chain. Helmed by the owners of the popular Delfina restaurant, Pizzeria Delfina brings a taste of Italy and New York to the West Coast with a selection of pizzas wine and beer and seasonal appetizers and other bites. Napa is known for its wine and nothing goes better with wine than pizza. Azzurro Pizzeria e Enoteca combines the gourmet flavors that Napa is known for with local wines and thin crusts. Petaluma’s Old Chicago Pizza offers the deep-dish crust that the Windy City is famous for, along with a variety of other crust options. Open since the 1970s and located in a historic building, Old Chicago Pizza is reminiscent of a traditional deep dish joint in the city it plays homage too. Available by the slice or as a supersized pie, bring your appetite for the big flavors at Mulberry Street Pizza. There’s a few locations elsewhere in the greater Los Angeles area but the Beverly Hills location of Mulberry Street Pizza has a reputation for attracting stars. Little Star Pizza has a few locations in the Bay Area, each offering a selection of pizzas. Choose pizza anyway you like it, with or without cheese, in thin or deep dish crusts. There are plenty of options for toppings as well as more salads and sides than your typical pizza joint. Monello in San Diego’s Little Italy district promises to be timeless, not trendy. To that end, the cozy spot offers authentic Italian cuisine including pizza, pasta and more. 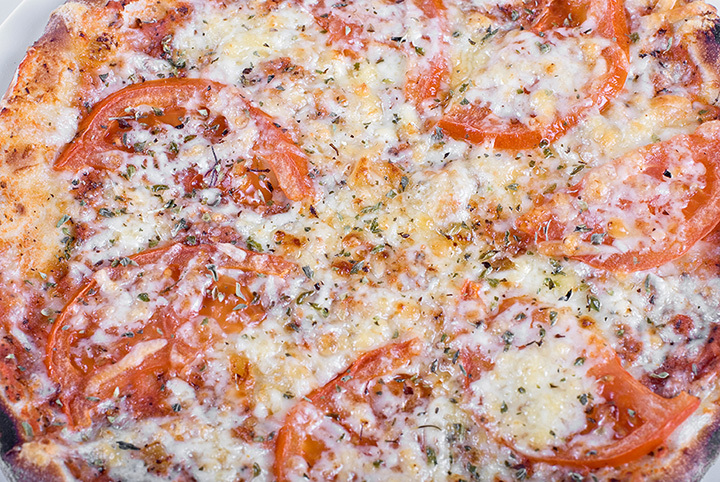 Pizzas have a four-day fermentation period to create a light and crispy crust topped with quality ingredients. Located in historic North Beach, Tommaso’s is part of San Francisco’s culinary history that dates back over 80 years. Tommaso’s offers monthly specials, including a pizza creation and bakes all the pizzas in wood-fired oven, said to be the first such kitchen tool on the West Coast. The Original Graziano's has been serving pizza to the local community since 1969 and takes pride in being a landmark restaurant. An integral part of the Inland Empire, The Original Graziano's has two locations that services families looking for updated pizzas, including Hawaiian toppings and jalapenos.